​December 3-The only “Super Moon” of 2017, the closest one since 1948, is the popular term for a new or full moon that coincides with the lunar orb making an especially close approach to Earth, meaning the closest separation between the moon and Earth. It appears to be 8% bigger and 16% brighter than usual. Called a “perigee full moon” by astronomers, it is also called Full Cold Moon, or Long Nights Moon by some Native American tribes. By any name it made for a beautiful sight over Elk Rapids. The next two super moons are January 1 (called Wolf Moon) and January 31 (the second full Moon in a single month is called a “Blue Moon.” –an amateur astronomer. 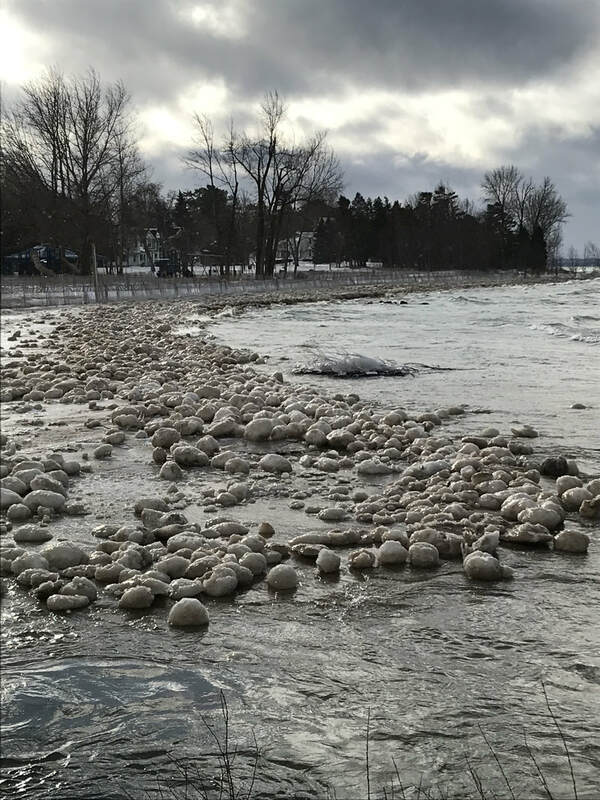 December 3-On a quiet warm Sunday afternoon looking out over Torch lake a shout went out "Illegal party going on at the Sand Bar" as at least 100 geese were landing and then circled together on the sandy point. Quite a sight to behold on a bright sunny day._Kathy Peterson. December 8-Tribal member and conservationist Hank Bailey visited Cherryland School students on Friday and shared some stories about his tribal culture. He reminded them that all things in nature are connected, and emphasized the importance of “walking in a good way”, meaning to treat all of nature with respect--the woods, the animals, the people. _a classroom visitor. December 9-Going out for long walks around the outskirts of town, I saw some winterberry covered in freshly fallen snow. Winterberry is a wonderful food source for native birds and grows well in swampy areas. 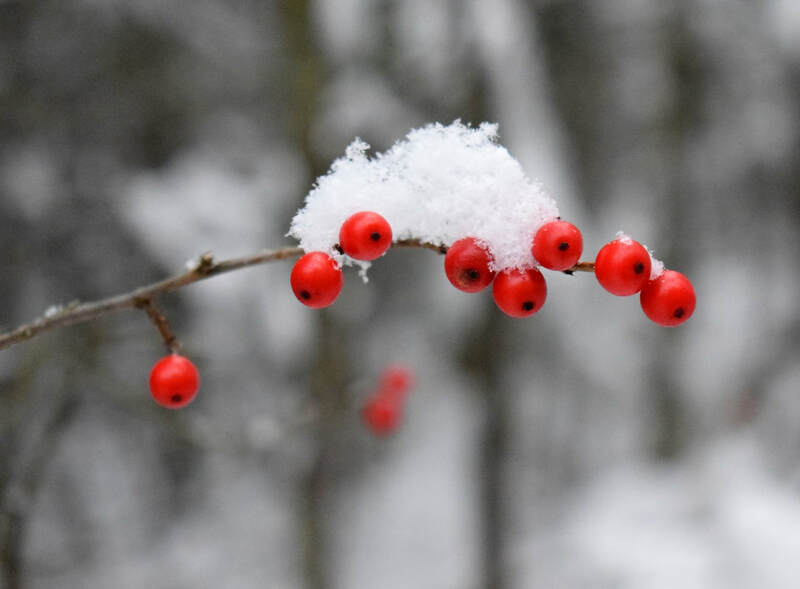 The red berries contrast with the white snow so beautifully._Lauren Dake. December 10-A great snowy owl was sighted on Meguzzy point,--a local resident.